It may creep in, but how do you present against it? There seems to be a growing cultural trend in doubt. It’s always been there (Galileo was put on trial for his findings), and perhaps it’s just being disproportionately reported on lately, but there seems to be an increasing amount of attention paid to the doubting of data. People doubt climate change is real, people doubt the world is round, questioning the validity of vaccines, evolution, fluoride in the water, etc. People are deciding to follow their own narratives rather than the consensus of data collected by subject matter experts. People sometimes fear what they don’t understand. As science progresses, folklor-ish superstitions eventually give way to rational explanations but there is always a crossover period when there are still more doubters than believers. Part of why some people drag their feet is that it is simply easier to believe what you have always felt to be true. If the data supports your position you take to adopting the data quite quickly. If it is contrary to your position you become defensive. The principle of least effort shows that people will generally do what is easiest and intellectually digging in your heels is certainly easier than having your world view flipped upside-down. Also, nobody likes being told they are wrong. Back in 2005 Stephen Colbert introduced the concept of “Truthiness,” the idea that you feel something to be true even if the facts don’t support it. It’s the idea that you follow your own narrative because it’s easier than hearing about a position contrary to your own. The Oxford Dictionary has even chosen “post-truth,” the idea that objective facts are less influential in shaping public opinion than appeals to emotion, as the word of the year for 2016. 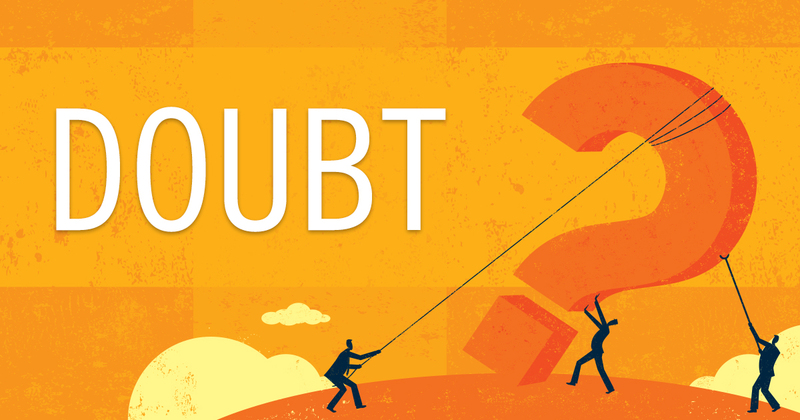 Doubt has been created in data recently, but how can you combat that in your organization? All of which brings me to the world of business, which isn’t very different than the world in general. People will believe a course of action is correct until convinced otherwise. Not when presented with evidence to the contrary, but when convinced to the contrary. Providing data that supports the general consensus, preaching to the choir, is easy. It’s when you are interested in changing people’s minds that you have an uphill battle. This is when you need to employ the soft sciences. Moving in a new direction is done so by treading lightly. You can’t assign blame for the current way of thinking/course of action. Stakeholders have to agree they want the same basic outcome and then you present your case for an alternate course to get there. Part of what you present is the quantitative data that led you to this new way of thinking, but as discussed in a previous blog post, you also need qualitative data to help bridge the gap. Storytelling, narration, explaining the how & why of what is happening all help your case more than just showing up with statistics and sales figures. Sometimes you can’t convince everyone. Sometimes people just won’t hear a contrarian point of view. The best chance to change minds is to make your point of view seem both logical as well as attractive. Numbers alone will not change people’s minds. People need convincing and convincing takes storytelling. Stories are more desirable than raw data. Whether you are presenting your proposal in-person or remotely using an app, find ways to incorporate qualitative data (not just quantitative data) into your story.